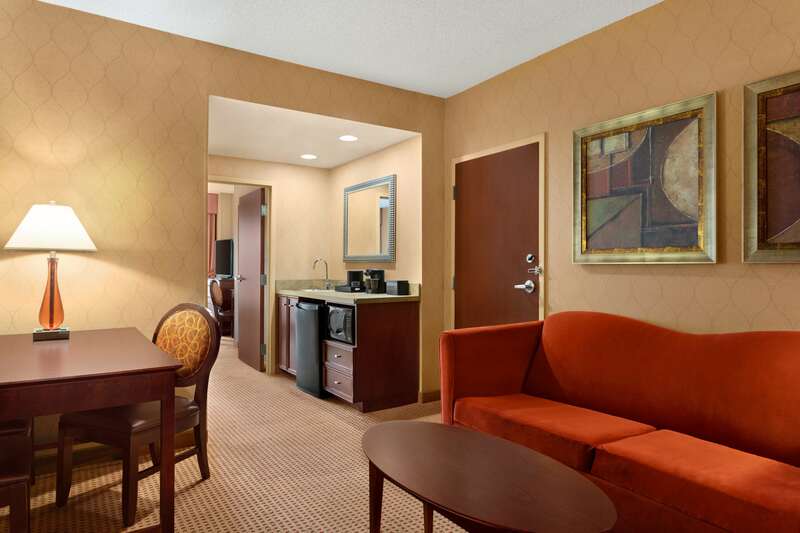 Ideally located in downtown Huntsville, our Embassy Suites Huntsville Hotel & Spa is adjacent to the Von Braun Convention Center and minutes from Cummings Research Park. 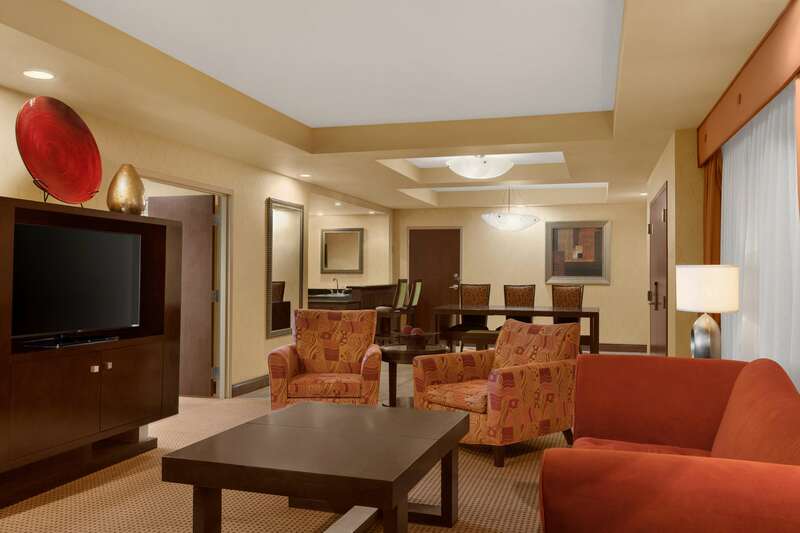 Our all-suite hotel offers complimentary cooked-to-order breakfast every morning and drinks and snacks each night at our Evening Reception*. Enjoy luxury dining at our Ruth’s Chris Steakhouse or rejuvenate after a long day with a relaxing massage or facial at Spa Botanica. Stay fit in our fitness center or enjoy a swim in our indoor pool. Host a meeting, wedding or event in one of our many meeting rooms or ballroom. 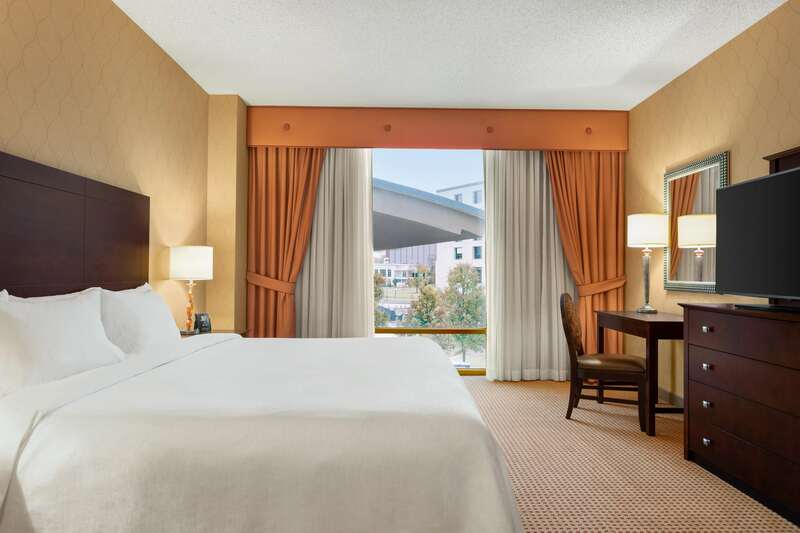 Take care of business in our 24-hour BusinessLink™ center with complimentary WIFI. 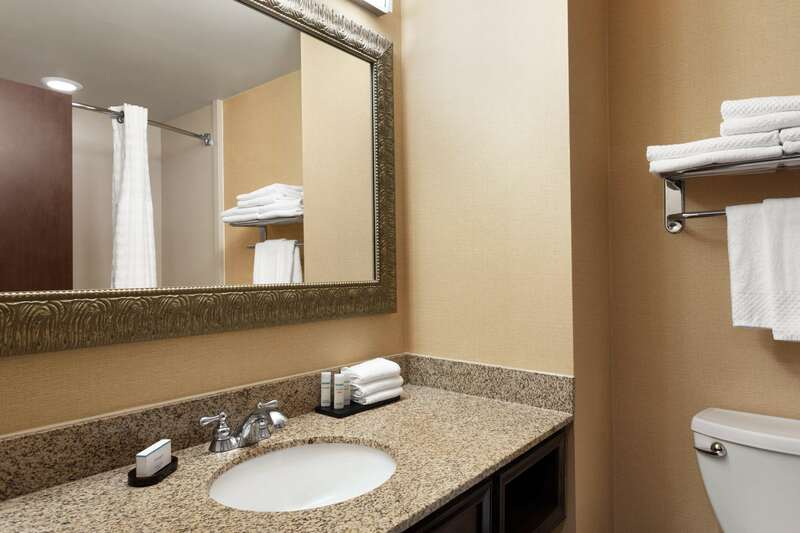 Book your stay now at our hotel in downtown Huntsville.